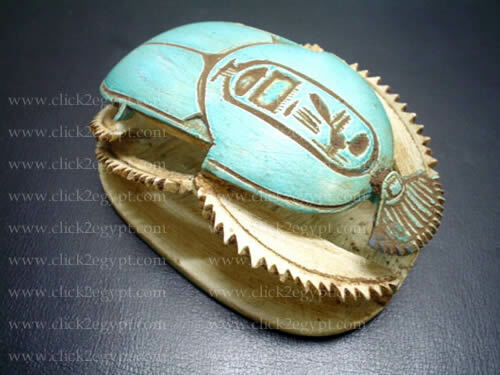 This scarab was Made in Aswan, Egypt, form a top quality natural stone. They were finely and carefully hand-carved (please take a look at all the pictures). You will find Hieroglyphic art prints on both of top and bottom. it comes in a dull blue/white colors. The following measures are approximate. The Hieroglyphic prints may differ. The Hieroglyphic prints may differ.